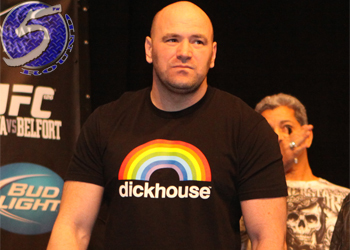 The UFC is feeling so fly, like a G4. According to TheWallStreetJournal, the world’s premier mixed martial arts promotion is in discussions to obtain majority control of G4. The groundbreaking deal would provide the UFC with their very own network in order to distribute their fights. The exact percentage the UFC would own, as well as the price tag were not revealed. The sketch comedy show has aired on NBC since 1975. Spike TV, the home of free Octagon action since 2005, has begun preparing for life without the UFC once their contract (reportedly) expires at the end of this year. According to MMAFighting, Spike executives have already started scoping out Bellator Fighting Championships’ events in person. MTV2 currently hosts Bellator shows, but a transition over to Spike shouldn’t be too difficult. Both networks are owned by Viacom. Assuming the UFC takes majority control of G4, it doesn’t erase the fact the network has been struggling for years. Reportedly, G4 is only available in 59 million homes, while Spike can be seen in 99 million households. At the end of 2010, DirecTV removed G4 from their roster. DirecTV is the single-largest satellite cable provider in the United States.